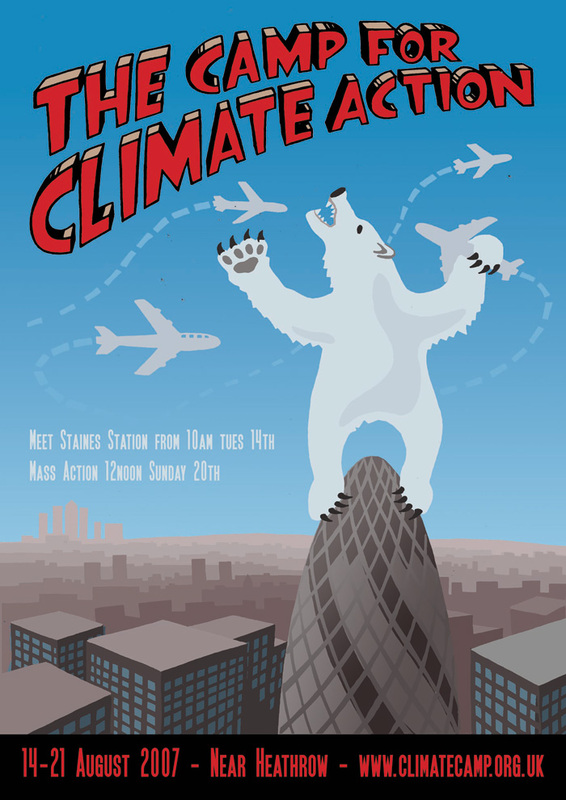 This was a design I made to advertise the Camp for Climate Action outside Heathrow Airport in 2007. It was made into A1 posters, printed onto at A0 size onto some canvasses and was the front of a fold-out A6 leaflet. I have a handful of the A6 leaflets left. If anyone would like me to send them one, get in touch.